A New Year’s Eve campaign shakeup has led at least five aides to Republican presidential candidate Ben Carson to quit the campaign, citing internal tensions. In the latest sign of trouble within the Carson's campaign, Campaign Manager Barry Bennett and Communications Director Doug Watts unexpectedly resigned Thursday morning amid the one-time top-tier candidate's dropping poll numbers. Deputy campaign manager Lisa Coen followed Thursday. “I am deeply concerned about the campaign's ability to move forward successfully without them,” she wrote in the letter obtained by NBC News. Campaign spokesperson Deana Bass tells NBC News that a total of five staffers have left the campaign. Multiple sources close to the campaign say more resignations will come as a result of the shakeup. 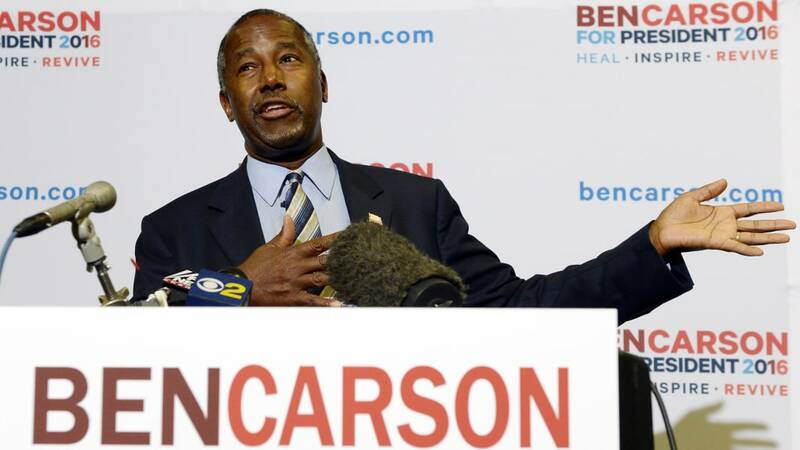 Carson has dropped from leading the Republican field with 29 percent support in a NBC News/Wall Street Journal poll in late October to just 11 percent by the middle of this month. 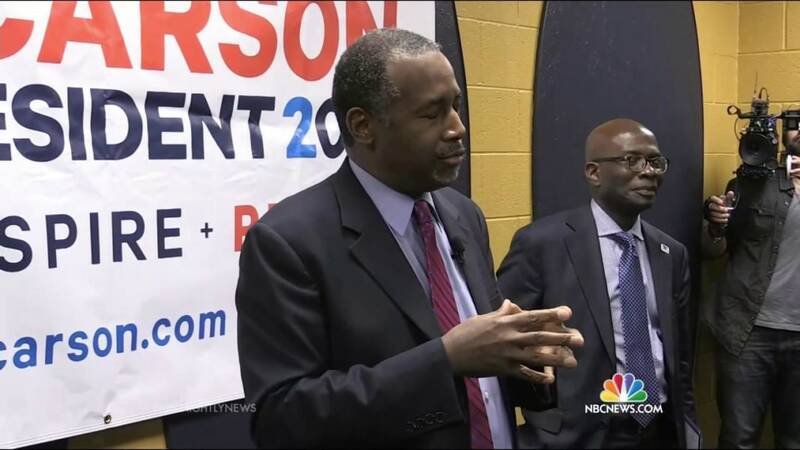 In a phone interview with NBC News, Bennett blamed acrimony within the campaign on Carson’s close confidante, Armstrong Williams, who is the candidate’s business manager and the man many of his aides say is a central problem in the campaign. Bennett said that he was frustrated that Williams was “undercutting any good news we had” by creating a new problem. Bennett says he called Carson around 9:45 this morning to notify the former neurosurgeon of his decision. He says the presidential hopeful was surprised and asked him to “take the day to think it over,” but Bennett told NBC News that his mind was made up. In a brief phone conversation this afternoon, Williams told NBC News he knew Bennett and Watts “had issues with me” but held no ill will towards the two aides, and that he had no influence on the shakeup. “It’s easy to blame. I have nothing but praise for these guys. I knew they had issues with me, we worked around them — it’s like a family,” he said. Williams also stressed that he wasn’t a large presence around the campaign and that his close relationship with Carson was an issue for Bennett and Watts. “There were challenges, but I’m not a part of the official campaign and I never will be. You know, there’s a lot of trust there [between Dr. Carson and I]; sometimes we don’t see eye-to-eye but we always come to a resolution,” he said. “He does not speak for me, he speaks for himself,” Carson said of Williams, who advocates for Carson on Television regularly. Last week, Carson suggested in two interviews — conducted without the knowledge of his then-campaign manager— that he has been considering major “personnel changes.” Although he quickly issued a statement, saying he had “100 percent confidence” in his team, Carson said changes were coming. Following news of the resignations, the Carson campaign released a statement announcing that Bob Dees, a retired U.S. Army Major General Bob Dees who has served as a foreign policy adviser to Carson will take over as the campaign chairman and senior strategist Ed Brookover will become the campaign manager.